In a tight race, Dan Malloy edged out his opponent to take the seat as Connecticut’s next governor. He took office on January 5, 2011. As mayor of Stamford for fourteen years, Dan Malloy instituted an energy-conservation plan resulting in the first solar-based system installed by a municipality under the Connecticut Clean Energy Fund, as well as a facility to convert wastewater sludge into energy without carbon emissions. He also received the 2003 Outstanding Achievement Award from the U.S. Conference of Mayors for implementing the state’s first universal prekindergarten program for four-year-olds. As an assistant district attorney in Brooklyn from 1980”84, Malloy won convictions in 22 of 23 felony cases, before entering private practice. Dan Malloy overcame tremendous challenges to build a successful career in public service and law. Born with severe dyslexia and motor-control problems, he was unable to walk steadily or to execute simple tasks like tying his shoes and buttoning his clothes. Malloy’s mother also encouraged his listening skills by giving him a radio, so he went to bed each night tuned in to the news and other programs. At school, he found little encouragement. One of his teachers labeled him “mentally retarded” as a fourth grader; another hung his failed spelling tests on the wall beside those of “A” students. “It’s a tribute to my mother that I never envisioned that I wouldn’t be successful; I just didn’t know how I’d do it,” he says. 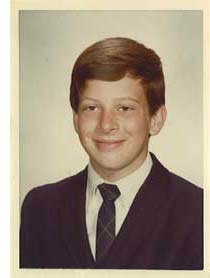 By the end of fifth grade, Malloy could button his clothes and tie his shoes, and by eighth grade, he was a much-improved reader. “I developed some compensatory skills and had halfway decent grades,” he says. “I also had a good level of academic success in high school and remembered everything I read, although reading was still arduous.” Luckily, Malloy attended a supportive high school, which waived the foreign language requirement and any math class beyond Algebra I, in which he scored a D. “That allowed me to take courses I was good at, like social studies and history,” says Malloy, who also had access to books on tape. At Boston College, his reading skills improved steadily, and his reading retention and comprehension were “off the charts,” says Malloy. “I got very good grades and the school was behind me.” His professors granted him extra time on multiple-choice tests and allowed him to answer essay questions orally or to dictate them to a third person. He also wrote papers orally, dictating them to his future wife, Cathy, whom he met as a freshman. While Malloy is a fluent reader, reading aloud is difficult, so he plans speeches in his head and delivers them without consulting a written text. Another byproduct of his dyslexia is Malloy’s ability to listen well and absorb large amounts of information, an asset to anyone, but especially to a candidate for public office. These assets certainly paid off in the November 2010 Connecticut gubernatorial election. In a tight race, Dan Malloy edged out his opponent to take the seat as Connecticut’s 88th governor. He was sworn into office on January 5, 2011. Dannel P. Malloy, the surprise winner in the Democratic primary for governor in Connecticut, overcame dyslexia. If Coloradans wanted the kind of governor they could have a beer with, they elected him. In fact, many had already knocked down a few with three-term governor John Hickenlooper, who was a brewpub owner before he became mayor of Denver at age 50. Even his tongue twister of a name didn’t stop his unlikely ascent up the political ladder. Michael Bennet comes from a family with a long history of public service. Born in Delhi, where his father was an aide to the U.S. ambassador to India, Bennet grew up in Washington, D.C., where the elder Bennet held prominent posts in the Carter and Clinton administrations and served as president of National Public Radio. Bennet, himself, is following in his family’s footsteps. This is the first time Ambassador Carol Moseley Braun, the first African American woman elected to the senate, has ever talked about her dyslexia. She’s speaking out now to help de-stigmatize a brain difference that’s coming between kids and their dreams. Although she remains wary that any label, especially put on kids of color, can be used as an excuse for abuse. Anne Burke grew up on the South Side of Chicago, the youngest of four children and a self-described C student who struggled with reading, writing, and mathematics throughout grammar and high school.